I'm reproducing this news article I wrote for aidsmap.com in case anyone hasn't seen it, because it is a really important issue. Claiming that phylogenetic analysis is so reliable as to be able to 'prove' who infected who in a criminal court case is reckless and somewhat self-serving. The report, co-authored by Michael Metzker, associate professor at the Baylor College of Medicine Human Genome Sequencing Center and David Hillis, a professor of evolutionary biology at the University of Texas, details the phylogenetic analysis methodology used in two criminal HIV transmission cases in the United States, in Washington State in 2004 and Texas in 2009, respectively. The report refers to several recent studies (including a 2008 study from Keele and colleagues) which suggest to the authors that a "significant genetic bottleneck" may occur during HIV transmission, and that at least three-quarters of infections may result from a single virus. It also notes that since HIV evolves rapidly following initial infection, this results in "increased diversity of HIV sequences within a newly infected individual." However, the report argues that if blood samples are taken from the accused and complainant(s) "shortly after a transmission event" the population of viral sequences in one individual would be expected to be more closely related to the population in the other(s) than other populations of viral sequences used for comparison. This is known as a "paraphyletic relationship." The paper then suggests that "paraphyly provides support for the direction of transmission and, in a criminal case, could be used to identify the index case (i.e., source)." The paper and its assertions have been widely disseminated via a press release and several articles primarily aimed at the scientific community. Such articles include quotes from the investigators that suggest their methods are unquestionably sound and it was this evidence alone that led to the guilty verdicts. "This is the first case study to establish the direction of transmission," Professor Metzker was quoted in an AFP story with the headline ' Lab detectives use science to nab HIV criminals'. Thomas Leitner, staff scientist at Los Alamos National Laboratory in the United States, tells aidsmap.com that the methodology described in the paper to test the hypothesis of direction of transmission is not, in fact, new, and that along with co-author Walter Fitch he published a paper outlining a similar methodology eleven years ago. (Leitner T, Fitch WM 1999) He adds that his research suggests that even when all persons involved in an alleged transmission chain are sampled, it may still be the case that the two closest samples in a phylogenetic tree are two individuals who may not have ever met. Professor Vandamme is also lead author of a paper currently in press with The Lancet Infectious Diseases along with several authors including Professor Albert and Dr Anna Maria Geretti, of University College London Medical School, Royal Free Hospital, in London, which highlights the substantial risk of miscarriages of justice based on a flawed view of the science behind phylogenetic analysis. 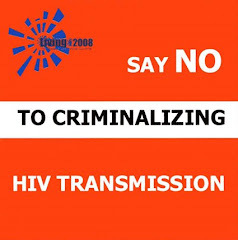 It concludes, in concurrence with a briefing paper co-authored by Professor Vandamme and Dr Geretti and published by NAM and NAT in 2007, that the only ‘safe’ use of phylogenetic analysis in criminal HIV transmission cases is to exonerate the accused. Leitner T, Fitch WM The phylogenetics of known transmission histories. Pp. 315-345 in K. A. Crandall. Molecular Evolution of HIV. Johns Hopkins, Baltimore, MD 1999.